This week I wanted to try Milani HD Holographic polish after already giving Milani Digital a Try. Since the forecast said it would be sunny for most of the week, I figured I’d better give the summer’s rays its final hurrah before breaking out the fall colors. The Application – HD was a little thinner than the polishes I am use to wearing but at least it made it easy too spread on my nails. Though I had to be more careful not to let the polish roll into the edges of my nail beds. Also, the first coat was a little streaky but repaired itself by the second coat. After having little halo effect with Digital, I applied HD differently. Instead of two thicker coats, I applied three very thin coats for full coverage, and it did help in creating a more satisfying halo effect. 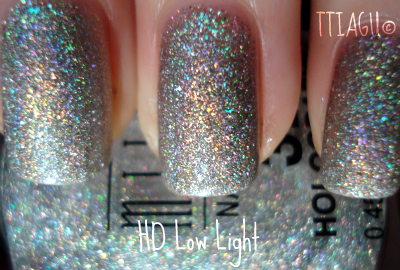 The Color: HD is a silvery color with a rainbow halo. I have to admit, in natural light (please see pic) the color is not that impressive and in someways kind of drab. But in most lights. it has a slight halo effect making the rainbow colors dance on the nails. The halo effect is there, but slight. I tried to photograph it but apparently it’s camera shy and hard to capture in photos so I put five billion shots to show it in different lights. The halo is slightly stronger than what is shown in the photos. The Verdict: Is it a strong halo effect? No, no it is not. 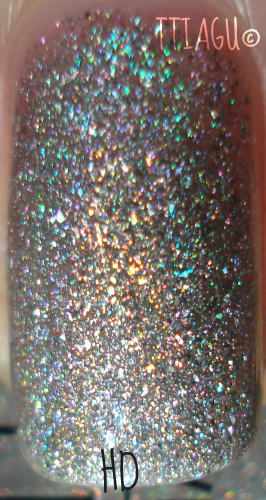 But it’s there and it was pretty and shimmery in different levels of light making it an interesting polish. But in low level light or natural light, not the most interesting color but I am not a huge fan of silver or white shades due to my coloring. 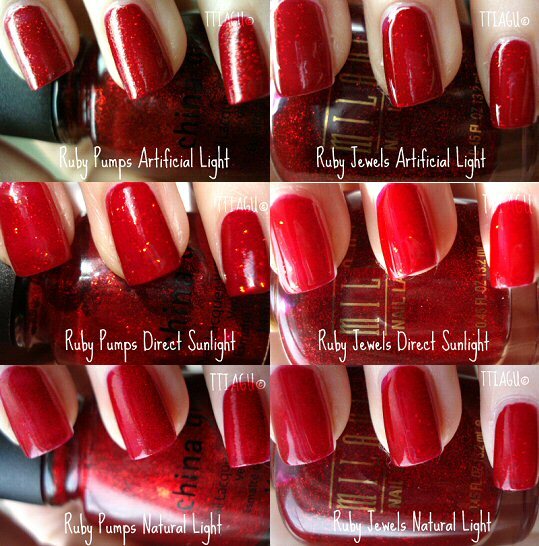 Still, it’s a fun polish to have in the collection and worth picking up, especially if it’s on sale. In NYC it runs anywhere between $4.95-$5.95 for the halos but I only pick them up on the buy one get one at half price deal to make it worth it. I ended up wearing HD for about five days before removing it for the weekend and I have to say it held up well. Five days and no sign of wear which is great for a drugstore brand.